Hollywood is a tough business. It's a revolving door of actors who are hot one minute, then can't get arrested the next. I believe that's part of the reason why so many actors--and actresses--fall into a drought, not always in terms of quantity of roles but in quality. For actresses, it's even tougher because they too often land great powerhouse roles, then must must resort back to being someone's shadowy wife or girlfriend. At least we got to see Christian Bale to cry in this scene. That's something. Lena (Zoe Saldana) in Out of the Furnace: Aside from offering a few kitten stares and sympathetic looks, there is literally no reason to have such an A-list actress in this role. She's trying to disappear so fast that this picture is a blur. Andrea Phillips (Catherine Keener) in Captain Phillips: Keener has been acting for nearly thirty years and has two Oscar nominations under her belt. 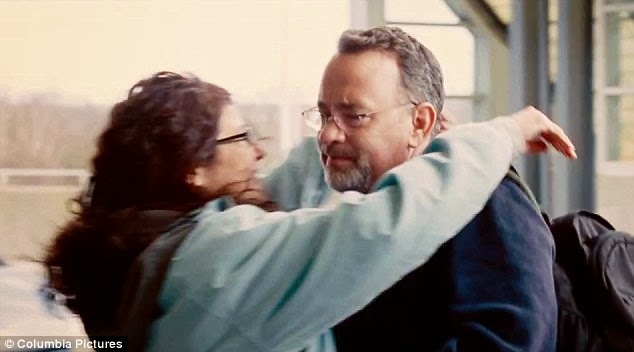 Yet here she is in one of only two brief scenes as Tom Hanks' wife. She doesn't even get to cry and run off a bridge like Saldana did above. She is is just drop-you-off-at-the-airport-to-never-be-seen-again wife. This is pretty much her only facial expression throughout the entire film. Dr. Eve Saks (Jennifer Garner) in Dallas Buyers Club: Garner is getting some high praise for her performance as a wayward doc in this wonderful drama, and I don't know why. Though she's in a good number of scenes, she hardly makes an impact and becomes just another medic hampering what McConaughey and Leto's characters are trying to accomplish. This could have been played by anyone else. Thought bubble: "This is the easiest money I've ever made." 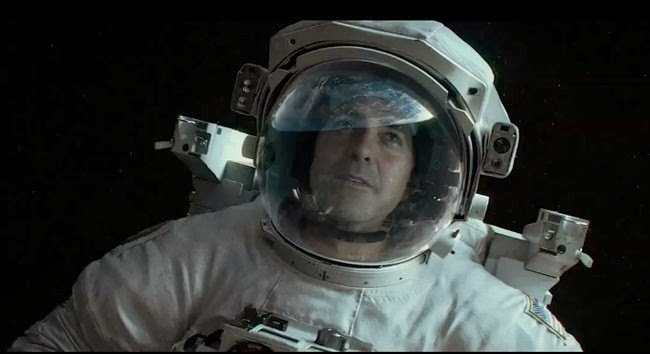 Matt Kowalski (George Clooney) in Gravity: I kinda love that the woman was the main focus in this brilliant movie, and that superstar Clooney played second fiddle to her. But, thinking back, all he did was Cloonify (yes, a homemade word) the few scenes he was in to take the edge off a bit and faded to black. A charismatic first year theater student could have done just the same. Who else would you add to this list? Share in the comments box below. Haha, Cloonify should be the next word entered into the dictionary. Rebecca Hall in Iron Man 3 through me off. What was someone like her doing in a role like that? I couldn't agree more about Jennifer Garner being such an unnecessary cast in Dallas Buyers Club...that's all I kept thinking throughout the film. They really should have cast an unknown, because Leto and McConaughey are the obvious scene stealers.